Typically, engine fires happen because of overheating, which is a mechanical problem. However, modern car engines and transmissions are controlled by computers and like any computer, there can be software defects with unintended consequences. This is exactly what’s happening with certain 2013 Hyundai Velosters. The automaker has just announced a recall for 16,487 Velosters equipped with the 1.6-liter turbocharged four-cylinder engine. According to official government documents, all of the Velosters in question were built in South Korea from April 26, 2012 to October 16, 2013. The concern is that these vehicles’ engines could ignite because of faulty software. This past January, Hyundai reviewed the engine manufacturing and design change history, including updates to the engine management software, following complaints of non-crash fires in some of its vehicles. It didn’t take long to figure out the problem. The engine management software installed on the ECUs, as it turned out, could cause premature ignition of the air/fuel mixture in the engine cylinder, a process called "pre-ignition”. Pre-ignition in an engine cylinder has the potential to cause excessive cylinder pressure that could lead to engine damage. The damaged engine might lead to a high-speed stall and possibly even a fire. Clearly Hyundai and the National Highway Transportation Safety Administration is concerned about potential fires and crashes. Fortunately, the automaker says it is unaware of any related accidents or injuries. The fix is very easy: a software update, and likely won’t take longer than a lunch break. 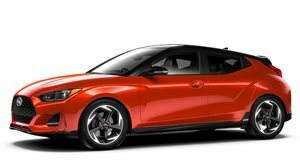 Hyundai discovered that a previous software update for the 2014 Veloster, and all model years since, revised the ignition logic that reduced piston noise in the engine. Therefore, these later model Velosters are not susceptible to premature ignition. Affected owners will be notified from May 13 and the necessary software update will be done free of charge at Hyundai dealerships.